Looking for something HIPPITY and HOPPITY to do this Easter weekend? 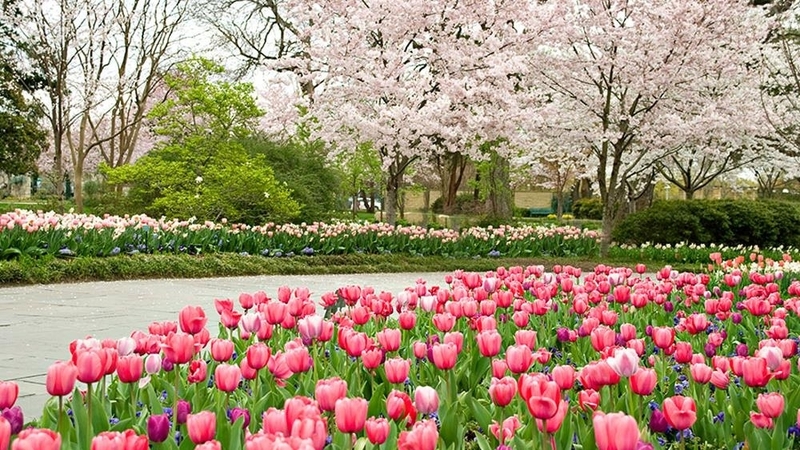 The Heather Guild Group Blog has gathered some exciting Easter events in the Dallas / Fort Worth area! Take a look below to find something fabulous and fun for all ages. Extra Info: Friday March 30: 11:00 am - 2:00pm - Eddie Coker Concert - Sponsored by Dallas Child, Martin Rutchik Concert Stage and Lawn - Enjoy a child-friendly family concert with Eddie Coker, who is always a crowd pleaser! Bubble Performer Camp Lawn - Bring the kids to play with giant bubbles! Friday through Sunday: 12:00 - 4:00pm - Easter Portraits, Wishing Well - Ivey Photography will be in the garden Easter weekend to take family portraits with a live bunny. Portraits will be available for purchase from the photographer. Saturday, March 31: 11:00 am - 2:00 pm - Live music with Zach Coffey, DeGolyer Pergola - Enjoy live music while browsing through the gardens. 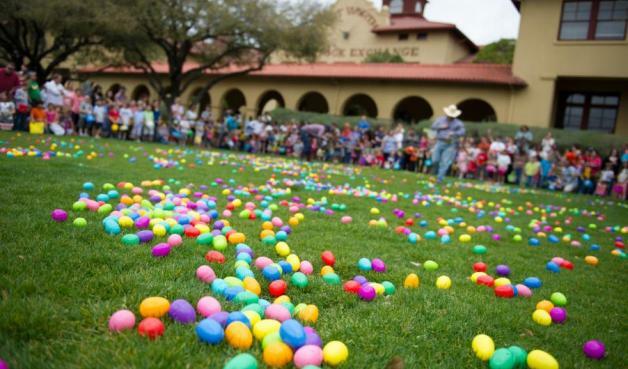 Extra Info: Come experience Easter in true Texas style! Cattle drive begins at 11:30 and the Easter egg hunt for all ages begins a noon sharp. Afterwards there will be an Easter bunny, face painting and more. The hunt accommodates children through age 12. After the hunt, bring children ages 12 and up to the Stockyards Stables for the Hunt for the Golden Horseshoe! Extra Info: Hop up to the GeO-Deck for Easter fun on Friday, March 30 and Saturday, March 31. Kids 12 and under can snap a photo with the Easter Bunny*, and experience strolling magic on the GeO-Deck and Cloud Nine Café with Diamond Jim Tyler! Be entertained as Diamond Jim Tyler performs a variety of interactive, sleight of hand and card tricks that’ll be sure to amaze, all activities included with purchase of a general admission ticket. 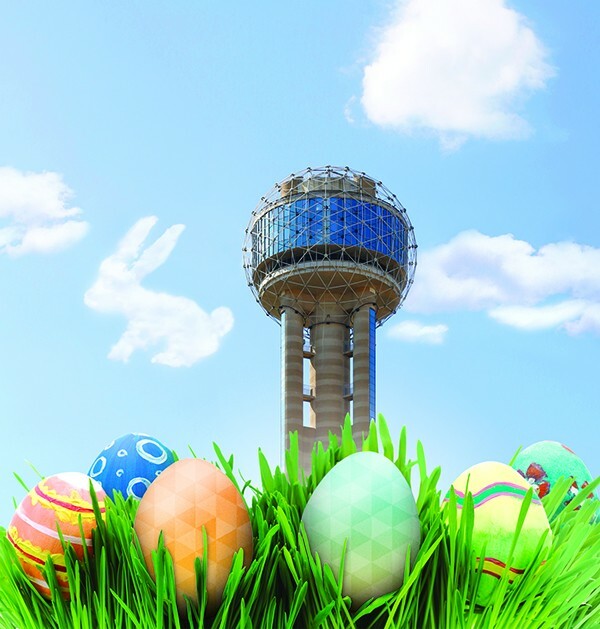 The Easter Bunny will be on the GeO-Deck from 11 AM – 2 PM, and Diamond Jim Tyler will perform from 11 AM – 1 PM. Extra Info: Hop over to EGGstravaganza for a fun-filled Spring celebration! There will be more than 30,000 eggs up for grabs! Arrive early and enjoy some of fun activities including photos with the bunny, face painting, bounce houses and balloon artists. The Coppell Art Council will be at the event as well, providing a free art activity for the kids. Don't forget to bring your basket!